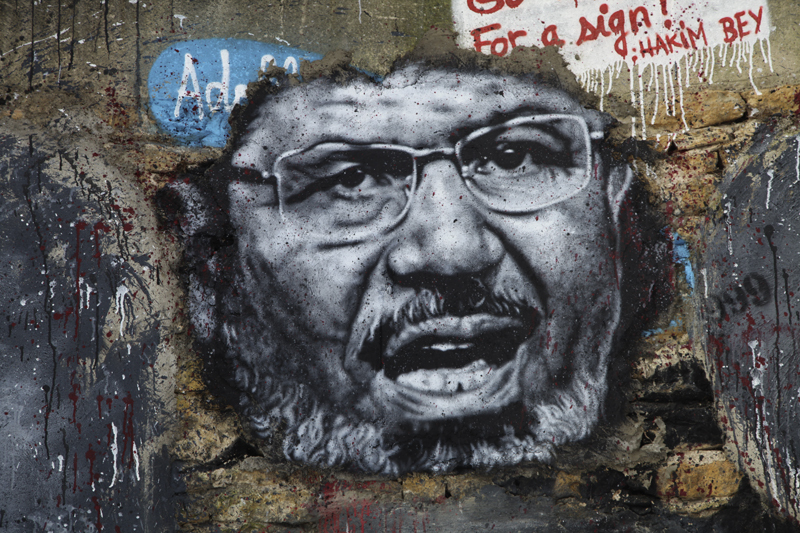 Mohammed Morsi Mural. Photo from Thierry Ehrmann on Flickr. On July 3, a celebration took place in Tahrir Square. Egypt’s first democratically elected President, Mohamed Morsi, who was also a leading member in the Muslim Brotherhood, was removed from power by the Egyptian military. Supporters of the military and state, revolutionaries, and Egyptians alike took to the streets, but the festivities were quickly interrupted by what some have argued to be peaceful protests that have left over a thousand dead. While many Egyptians saw the removal of Morsi as an opportunity for growth and democracy, many saw it as a stab at equality. A whole lot of change cannot occur in such a short period of time without ruffling a few feathers. With everyone wanting their voice heard, reporting on such a layered issue becomes even more complicated. As people continue to lose trust in Western media, they become wary of which news source is unbiased and factual. The manner in which some Western media outlets have handled themselves during the past few weeks of the Egyptian revolution has not done much to garner the trust of the public. For example, on Aug. 18, 2013, CNN’s Matt Smith published an article on Brotherhood prisoners who had attempted to escape from jail and were killed by military officials in the process. Smith paints a picture of heartless soldiers mindlessly killing helpless Brotherhood members who just had their “first democratically elected leader” ousted. He then goes on to quote several Brotherhood spokespersons who claim the military is lying and is a danger to the Egyptian people. They also call the events of June 30 a “bloody” and “ugly” coup. What Smith has done here is convince the reader that the Muslim Brotherhood is a democratically elected political party that is being unjustly silenced, not a terrorist organization that has been accused of several assassinations, countless cases of voters fraud, was previously banned in the country, has ties to Al Qaeda, and openly supports terrorist activities. Smith forces his readers into sympathizing with MB members because he only focuses on their side of the story. Vital information that the military, Egyptian people, police and government could have provided is left out. What Smith needed, and what most reporters at this time could have used, is a plain view of all sides. On the other side of the spectrum is the instances where news outlets publish articles written by one side and not the other. Gehad el-Haddad wrote in his article published in The Guardian, July 26, “…all the deaths have been among those protesting the coup and calling for the return of Egypt’s hijacked democracy.” He also goes on to say that anti-coup protesters “avoided Tahrir [Square]” and “carefully organized their marches to avoid instigating violence.” According to The Guardian’s website, el-Haddad is a “media spokesman for the Muslim Brotherhood and senior advisor to the Freedom and Justice party.” One has to ask where the government’s point of view is. The idea of being completely unbiased is one that has been deeply debated among journalists. What’s important for the reader to keep in mind is that biases are inevitable in journalism, whether it’s because of association, money or simply unintentional.